The Coco Earrings swing in glorious gold chain cascading from your lobes in an oversized celebration of faceted beads, crystals, and a single gold feature mesh ball. An earring that maxes out on the glam factor. 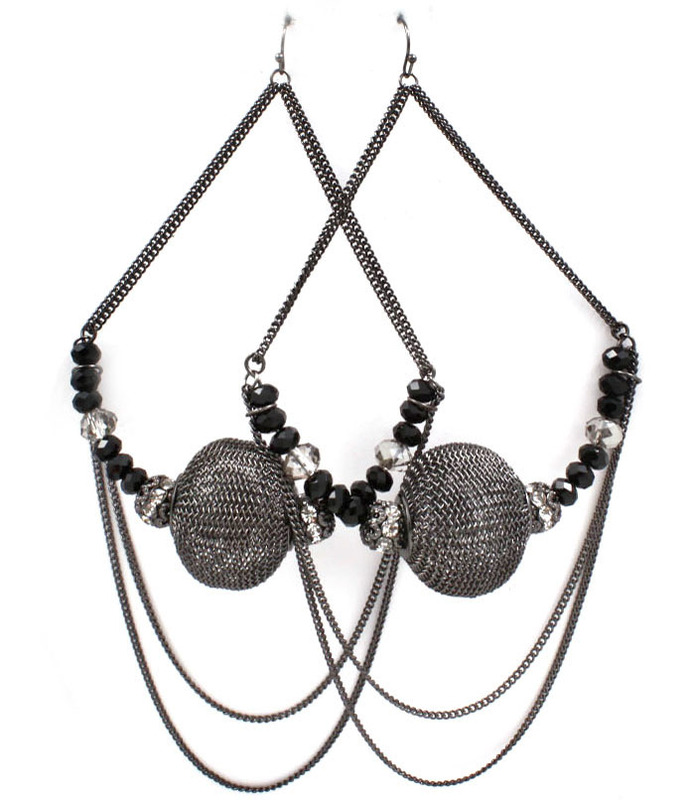 Order these beautiful meshball earrings now from Australia's fastest growing online jewellery store.